Cost and plans: Free plan (for one user only) then monthly subscriptions from $4.99 per month and costs go down if you scale with more users and more functionality. There are also discounts in you pay annually. Roadmap Planner is a simple app designed for creating strategic plans. It’s suitable for portfolio managers or programme managers on large programmes who have lots of phases to manage and who want to see a high level overview. Business owners who want to map out their company’s direction would also benefit, and the vendor’s website suggests that elite sports people would also value the ability to see a roadmap for their professional goals. The idea is that you map out your strategic plan so you can keep it in front of you while you are choosing projects or making any other decisions: having your eye on the end goal should encourage you to stay focused. It’s flexible, so I guess you could adapt it to plan out anything in high level, from writing a book to your wedding. While the company is based in the US, the marketing copy on their website reads as if it hasn’t been written by a native English speaker. Don’t let that put you off. You don’t need much, if anything, in the way of help to get started. The software comes with templates so you don’t have to create from scratch unless you want to. The picture below shows what it looks like once you’ve got a few steps on the roadmap. Hit the + icon to add another shape and then tap to put the linkages in place between roadmap items. Create a strategic plan in swim lanes with icons to highlight key areas. The 21-day trial period allows you to try out all the benefits of the Professional plan. When it expires you will be automatically switched to the Free plan with a basic functionality. To continue using the full set of productivity features, you will need to upgrade your subscription. 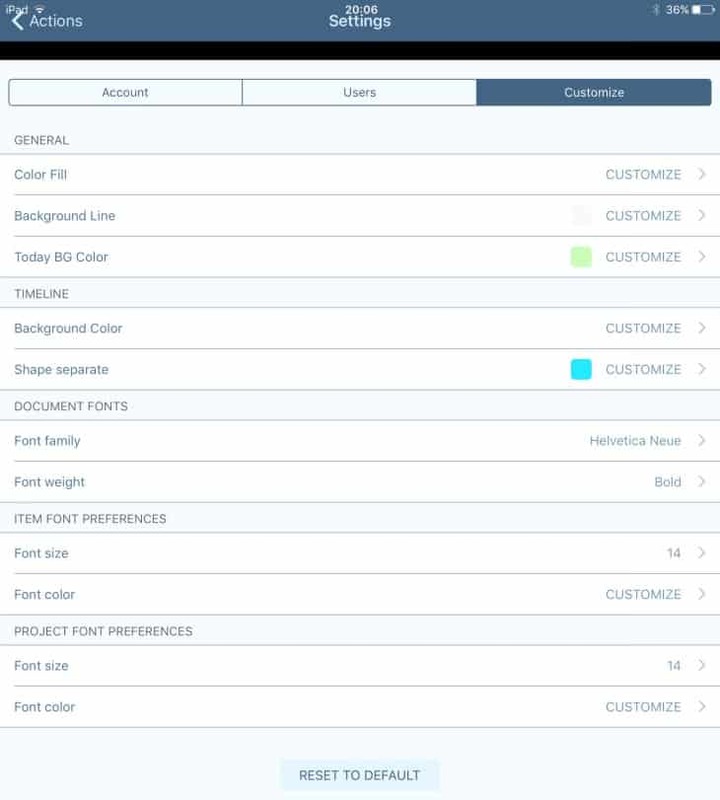 The look of the tool is customisable so you can change colours, fonts and more. I also like that you can add icons in to your roadmap items to make it easier to read and to call out the most important elements – there are a lot of icons to choose from but you can’t add your own. Here are the settings that you can customise. I did like the backlog feature. This is where you can add notes, projects or tasks to part of the roadmap so that you don’t forget what that element of your strategy was supposed to be about. I don’t think it’s meant to be used in the same way as a backlog in Agile methods, but it’s certainly useful to be able to record everything you were thinking when you created that roadmap item. Create a backlog with notes on your projects or milestones to remind you of the detail when you come to implement that part of the strategy. 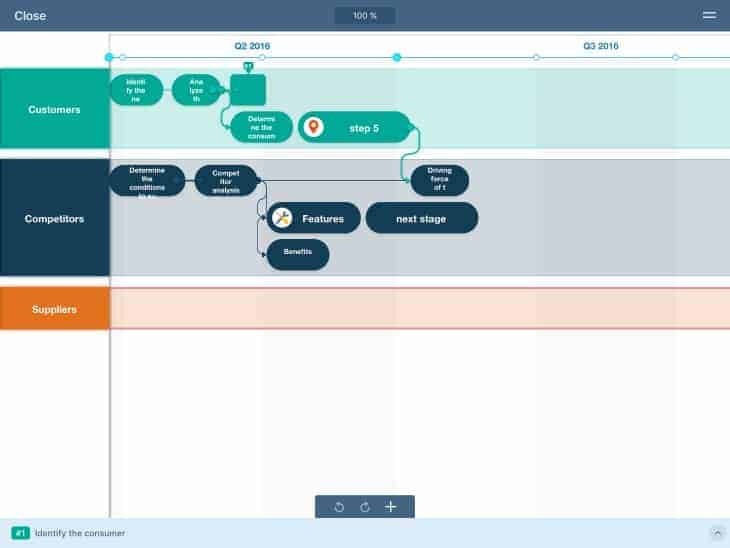 Roadmap Planner creates a strategic plan aligned in swim lanes so you could adapt it for recording any process if you wanted. It is flexible, but I expect if you were doing a lot of process mapping you’d find other process mapping products specifically designed for that purpose would be more use. 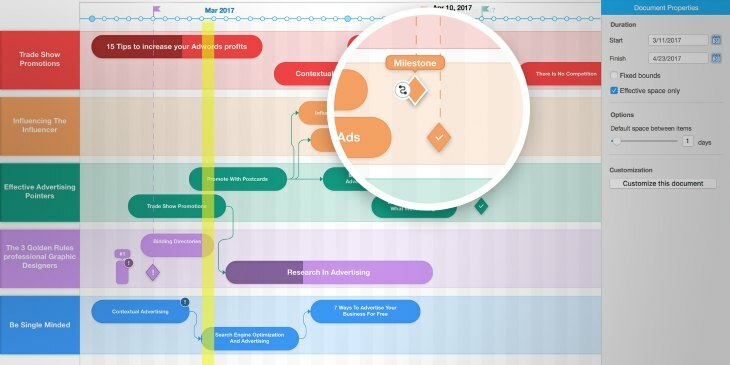 You can display your roadmap in presentation mode on a big screen and print it as a PDF, so you have a number of ways to share it with others. I tested a couple of days before the big update came out to the app. That offered a few feature changes like the addition of milestones, as you can see in this picture. Now Roadmap Planner includes milestones. The new update also includes being able to mark the percentage complete of tasks (hmm, moving into project management territory there!) and some interface improvements as well as a back-end update to speed up the app. I tried the software on my iPad and frankly it wasn’t that easy to create a nice looking roadmap using my fingers as input devices. Perhaps if I’d had a stylus it might have been better. I think that using it on your Mac to create a simple and attractive chart would be pretty easy with the addition of a mouse and a decent keyboard, so I’d suggest that would be the better way round: create it on a Mac and then tweak, share, present or update from your phone or iPad. It’s not impossible to use on the iPad, it’s just time-consuming to start from scratch when a desktop machine would make it faster to get going. Collaboration and synchronisation are only available with paid plans. To be honest, I’m not sure that I would want to share my strategic plan, at least not in a way that would allow others in the team to change it. As a business owner, or even as a programme manager, it’s my roadmap to success and I wouldn’t want everyone on the team updating it. You can get round this by granting others on the team read only access. Will you really use it every month? I would have liked to see a one-off pricing model. I understand the value of software as a service models and I get that the regular income will help them invest and improve the product. 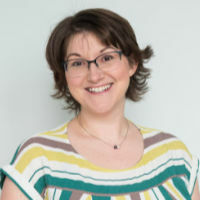 But I can’t help thinking that once you’ve got a strategic roadmap that takes you across the next 5 years in your business then you don’t exactly go in and update it every day. It’s not a project plan. It does look like a Gantt chart and it does include backlog functionality but it isn’t marketed as a daily task or project management app. That means you will end up paying monthly for a tool you only ever use for a couple of months every year. It might be worth it to you, but in my business it wouldn’t be. The video below is a 2-minute overview of how it works. 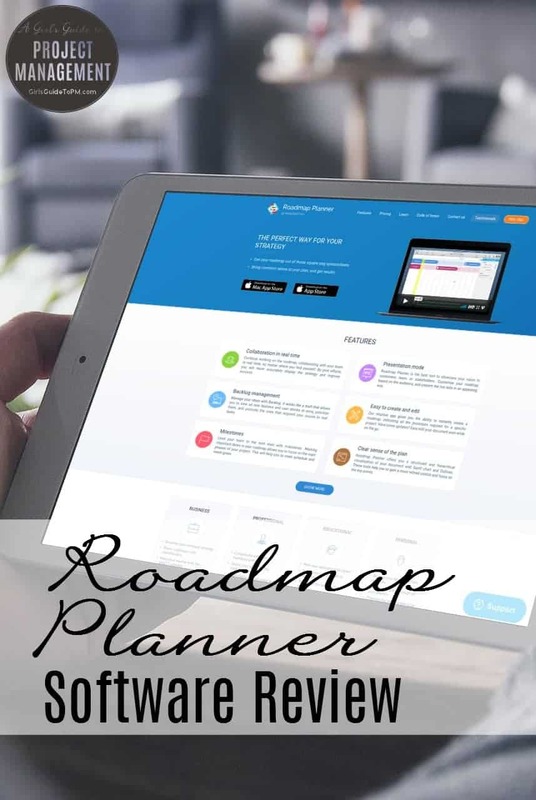 Roadmap Planner is an easy-to-use tool that creates good, high level long term plans and can help keep your goals front and centre as you make strategic decisions. However, it’s not going to be relevant to most project managers. If you run your own business, manage a portfolio or long-term programme or have personal longer term goals to achieve that you’d like to map out, then this is a feature-rich tool that will help you do all that. Read my other project management software reviews.